Stand for Childhood Cancer awareness with custom-made wristbands. Did you know that cancer is the #1 disease killer of children? More than 12,400 children and teens are diagnosed with cancer each year. One in every 300 boys and one in every 333 girls develop cancer before age 20. An estimated 270,000 childhood cancer survivors live in the U.S. today. These facts about childhood cancer are the driving force behind the non-profit Cure4Cam. Cure4Cam is a non-profit organization out of Pennsylvania whose mission is to "raise community awareness concerning, and support the development of, new and more humane therapies for childhood cancer." The Cure4Cam Childhood Cancer Foundation was started by Regina and Doug Evans who lost their son, Cameron, to childhood leukemia when he was a teenager. When Cameron was first diagnosed, some of his close friends ordered wristbands as a way for his community and school to show their support for him. After he passed away, his parents started a foundation in his memory and wristbands continue to be used to raise awareness of the important work the foundation does. Cameron was an avid runner and swimmer. Cure4Cam is involved in many local events that honor Cam's love for staying active. The 3rd annual Cam-a-Thon dance marathon will be held on April 8-9, 2016 in Downingtown PA to raise funds and for childhood cancer awareness. Cameron was well-known and loved in his community, and he continues to inspire people who knew him as well as complete strangers who hear his story. 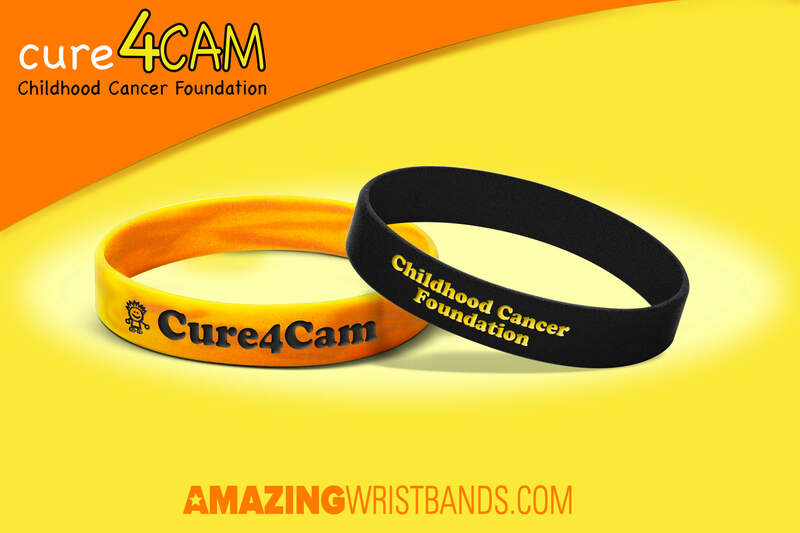 A recent version of the Cure4Cam wristbands incorporate a graphic of a child with spiky hair. Cam was known for his wild blonde/brown hair, and using this image on the wristbands, according to Regina, "gives people a personal connection to the charity and the cause." Please join us in supporting the mission of Cure4Cam by following their activities and upcoming events on their website and on Facebook.